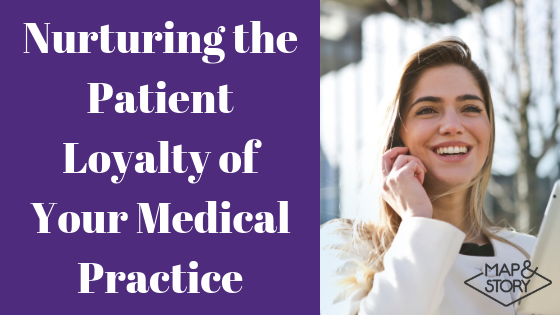 Nurturing the patient-practice relationship is an essential part of growing and maintaining the loyalty of your patients. A happy and trusting patient is a built-in advocate for your practice. A loyal patient is more likely to lead to positive online reviews, spread positive word-of-mouth recommendations, and keep them coming back. On the flip side, negative experiences will can lead an upset patient to not only warn family and friends against you but also take to social media and tank your reviews. This is why it is so important to fully understand what patients are looking for when deciding to return to a doctor and a practice. When you get in the mindset of a patient, you and your entire practice can work toward delivery excellent visit experiences. When a patient takes the time out of their day for a doctor’s visit, the last thing they want is to feel like that time is being wasted. You want to make a human connection with each and every patient that comes through your days. You must ensure that their concerns are addressed and they know that they are being heard. Greet the patient by name, acknowledge every aspect of their concerns and take the time to answer all questions. People are likely to take to social media after they have an experience with rude staff at a doctor’s office. Postings from multiple people that all echo the same sentiment will then earn your practice a reputation for unfriendly and unprofessional employees. Make sure that every single person in your practice understands just how important patient satisfaction is for long-term success. Get your staff on board with your mission and let word-of-mouth marketing work for you. Perfection does not come easily or quickly. Customer service and patient experience are priorities that should be constantly re-evaluated, tweaked and made better. You need to be willing to listen to patient feedback and adjust accordingly. Anonymous surveys and social media posts are great ways to discover what people think of your practice. Think of the relationship with your patients as a partnership in striving for excellence within your practice. This is an absolute must. Honesty and transparency on the part of the practice solidifies loyalty and trust among its patients. It is a crucial building block in the patient-doctor relationship. Keep an open dialogue with each patient about everything including their their health, their insurance coverage and your company policies. Setting in place best practices for patient loyalty can seem intimidating on the surface. However, it is extremely intuitive. Think like a patient! Put yourself in their shoes! How would you want to be greeted? How would you like to be spoken to? How would you expect a practice to respond to patients complaints? Follow the four steps above and make sure that everyone in your practice is on board. Treat your patients as respected partners and watch the excellent reputation that your practice will develop. Need help improving patient engagement and loyalty? Contact us here!